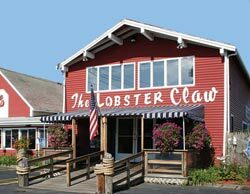 Cheerful, unpretentious and immaculate, the Lobster Claw’s varied menu always guarantees fresh seafood cooked to perfection including boiled & baked stuffed lobster, steamed clams, fresh sword- fish, haddock, salmon and other native fish. For non-seafood lovers, steaks and chicken are always available. You’ll love our whimsical nautical-themed décor and experienced, friendly waitstaff. No party is too big! Also offering gluten free and vegetarian selections. for dipping. A special treat! Print out this page and bring it with you when you pick up your take out order. It is worth 10% off the total! Visit our website to view our full take out menu and prices. 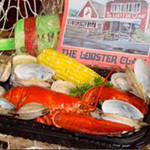 Then call 508-225-1800 to place your order. Offer cannot be combined with any other offer(s). Limit one coupon per party or household. Coupon has no cash value. Coupon must be presented for discount. Valid for the 2009 season only. Offer exclusive of applicable taxes.